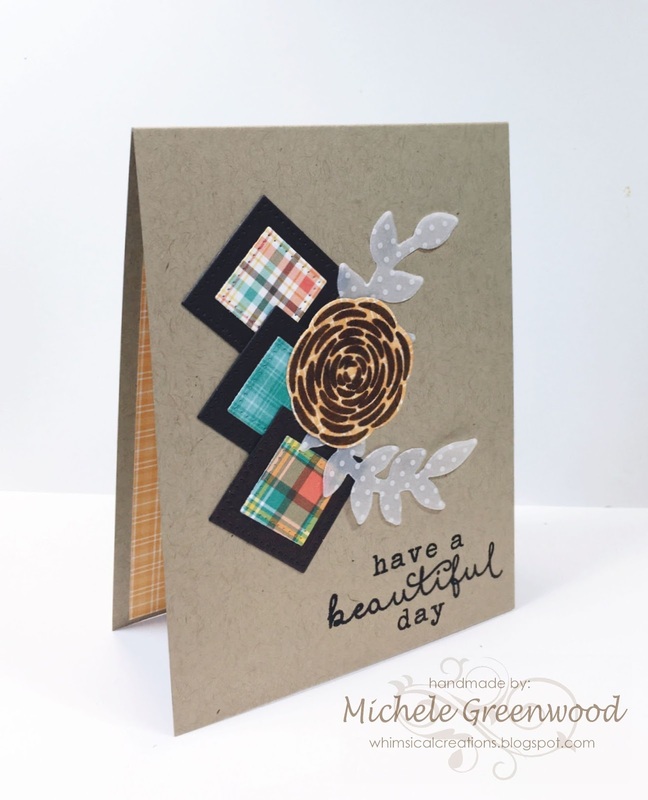 Hi friends – welcome back for another geometric card; have you joined our challenge this month? I found a card on Pinterest which inspired this quick and totally CAS (clean and simple) card. 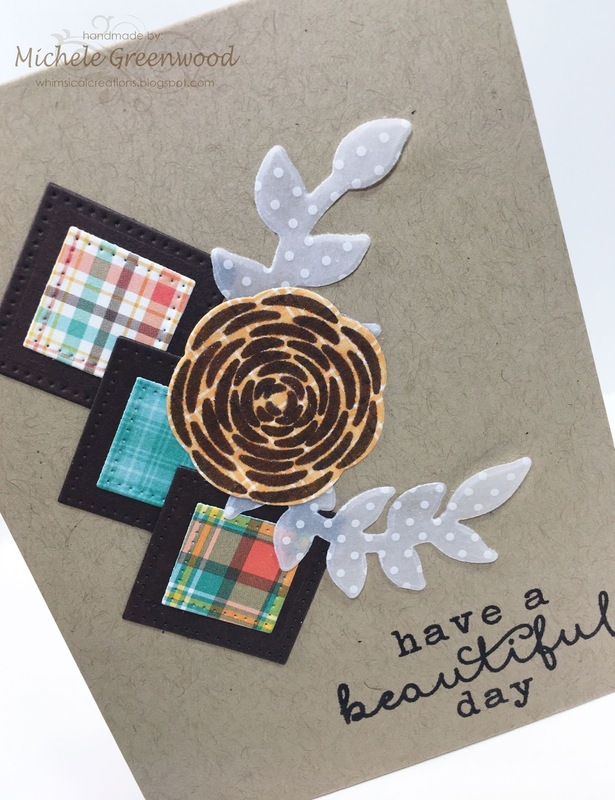 I cut 3 squares from the Lawn Fawn designer paper, then 3 from chocolate paper and adhered down the side of the base card. I stamped the flower in chocolate ink on to more of the Lawn Fawn paper and coated with clear wink of stella. I die cut two leave stems from the Your’re So Lovely set from scrap vellum, adhered it all together, stamped the sentiment and there you have it! It’s a wee little card, 3.75″ by 5″; but super quick and easy. Hope you’ll play along this month; we love seeing your creations!